These days, everyone is looking for a good, reliable source of computers. 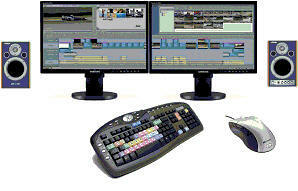 Whether it be for non-linear video editing, graphics, general business apps, or college -- we all need equipment that is designed to be up to the task at hand and RELIABLE! Desktop and Rackmountable video editing systems; high performance deskbook (laptop) mobile computing systems; and netbook mini's just for toting around, checking the web, and taking care of the day-to-day. It doesn't matter that having a computer breakdown on you and causing you to lose your data, deadlines, and suffer tons of inconvenience is less than pleasant for the consumer -- the business accountants simply have decided that it is an acceptable risk FOR THEM to have to repair/replace cheap computers as long as it happens less than 15-22% of the time. Not kidding, there are name brand computers out there factored for as high as a 22% failure rate! In Europe, those numbers are considered unacceptable. Consumers are willing to pay a few dollars more for a computer that will NOT let them down! A double digit rate of failure is considered demeaning to a company's reputation and is not an acceptable way of marketing their products! 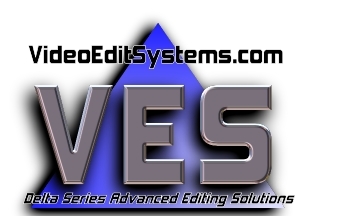 When we created our non-linear video editing division, VideoEditSystems.com, the first thing that we all agreed upon was to manufacture and market computer systems that would be as "pain free" as possible. That meant researching the right components for video editing programs as finicky as Avid Media Composer, Liquid, and others. But in addition to having the right hardware (and knowing when not to scrimp on key components), our computers would also need a custom recipe of drivers & software. The computer systems would also need to be self-maintaining and as user-fixable as possible. Pricing would have to affordable, but we were not trying to market our product on the basis of being the cheapest. We wanted our product to appeal to the individual or small company just getting started, and be able to grow along with the client's success and expansion. The VES/Delta series of computers, which we manufacture ourselves, represent the best desktop, rackmount, and laptop computer solutions in the business! 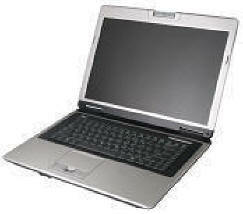 We also market (but not manufacture) the best mini-computer netbook for commuting, the EeePC. But unlike other vendors, we put our own VES/Delta spin on things when it comes to friendly and reliable customer service or custom software.